The Weekly Hot 5 and Trending Blog encourages you to join in the discussions, or have a look at a photo that we think will inspire you to grab your Nikon gear and capture equally outstanding images. ------------------------------------------------------ Gold member Peter ZF (tintil) from the United Kingdom used his Nikon V1 camera in a location most of our members would probably avoid. His images are now being viewed by our members as well as subscribers to the Wordpress Discover channel. ------------------------------------------------------ One of our hottest topics in recent weeks has centered on the new Nikon D500. Nikonians founder Bo Stahlbrandt (bgs) recently posted a quick tip for those who want to track the many comments and opinions of our community regarding this camera. He provides a link that uses NikoScope configured to look for the most viewed posts on the D500 for the past three months. And if you are interested in another camera, it's a simple adjustment to the search parameters. This link for instance does the same thing for the Nikon D810. Point of this tip? -- NikoScope is your friend. Give it a try! Brian Bats (brianbat420) from Hawaii, USA is purchasing a Nikon D600 this week and by the time you read this he will probably already have picked his lens option. But, the question he raised regarding his top contenders brought up some interesting advice. Our members weighed in with their experience-based opinions this past weekend while Brian decided between a Tamron or Nikkor lens. Silver member Tom Egel (tegel) from Michigan, USA heard from a sales agent that some Nikon DSLR shutter counts can be reset with a software hack. He asked our members if this was possible, and the replies so far lean towards scepticism. Gold member Stuart McClay Smith (StuMcSmith) from Ohio, USA lives near a portion of a local marathon. He took his Nikon D5, monopod supported, out to capture some images and he shares some with us. He also shares his impression of the camera at work, with special attention to FPS (frames per second) bursts. When you are ordering your complimentary Photographers Card, unique for Nikonians Gold and Platinum members, we are adding a Nikonians bracelet for the first 100 orders at no cost. Read more about this in the About Nikonians forum. Brad Berger at Berger Bros. contacted us to let you know our members have preference on pre-orders for the newest Nikon Cameras (just announced). He's already arranging to make sure you can get your Nikon D7200, Nikon COOLPIX P900 and accessories as fast as possible. Take advantage of these special offers by calling Brad Berger or Lisa M. at 800-542-8811. You can also email bradberger@me.com or lisam@berger-bros.com. While you're on the phone ask about the Nikon stand alone lens rebates which have been extended thru March 28th. 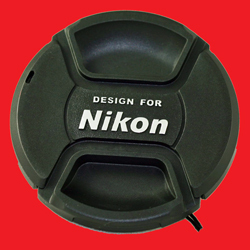 We have a free Nikonians cap waiting for a lucky Gold or Platinum member. Just add your best photographic locations to our Good Locations Site in the Nikonians wiki and get the chance to win the cap. 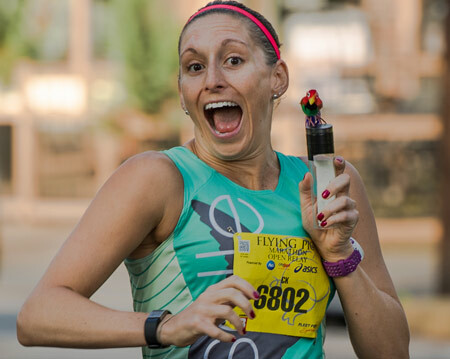 Entries made throughout the month of June will qualify. You can download the free Good Locations app from the iTunes store. The latest version allows you to shoot your image while offline (or out of cell-phone range). You can capture the locations while being offline and then send them when you have network coverage. Therefore, you can snap away regardless of available coverage (you would need GPS reception though) and then you can send the captured data at a later time. Make sure you download the latest version of the application to take advantage of this new feature. The app includes publication ability to the Nikonians.org community, Facebook and Twitter. Using the application, photographers can snap a location shot with their phone and upload the coordinates for future reference on shooting locations or for sharing with others. As an example, the photo in this screenshot (at left) would also include specific directions via Google Maps to the shooting location in North Carolina. 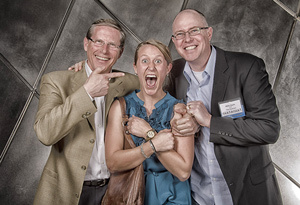 Once you fill in your comments and press "send" your photo will quickly appear on our Good Locations Site. The Google map pin shows your location, but don't expect it to always pinpoint your exact shooting angle. We tested it recently and in our Google Map satellite view you can see the photographer's position compared to the exact position (marked with the circled-X). 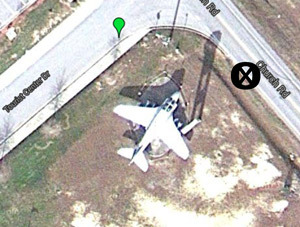 This is probably due to the Google Map seeking the nearest street to add to the caption information. When we uploaded the image, our comments input included Highway 70 but never mentioned Tourist Center Drive. That addition was courtesy of Google. Complete information can be found at our Good Locations by Nikonians Wiki, and before you start using it keep in mind the privacy precautions which apply not only to this application but any software program that publishes the exact location a photograph was taken. 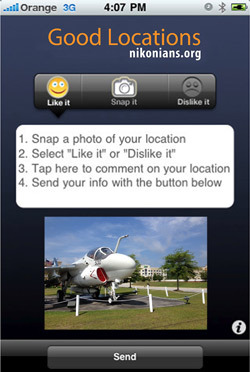 The iPhone app Good Locations by Nikonians V1.0 was released January 21st 2010. V1.01 was released February 2nd 2010. This release includes support for several languages and fixed a bug with ratings which are now sent properly. Location, location, location. That's one key to for success when you plan on opening a new business, and it also applies to wildlife photography. 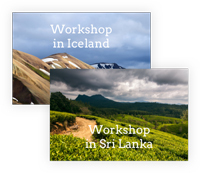 Once you know the best location to capture outstanding and rare images of wildlife, you share it with your friends in the Nikonians community and before you know it, you have a Nikonians mini-event. 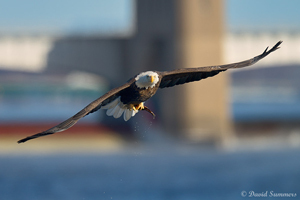 I live near the Mississippi river where each winter we have a large influx of bald eagles that gather at the dams to take advantage of the open (unfrozen) fishing water below each dam. We are lucky to be close to Lock and Dam 14 (near Le Claire, Iowa) that just happens to have the best waterside access of all of the upper Mississippi river dams. Some of the other dams may have more eagles but you are restricted to a small viewing platform looking over the locks making it impossible to get images of the eagles fishing. At L&D 14 there is a small island with a public park between the shore and the dam. The Corps of Engineers has a maintenance lock between the shore and the island. This creates a nice little cove with a walkway right along the water’s edge. The island has a couple of big trees that the eagles like and just behind the walkway and parking lot is a nice stand of trees. Part of that stand is a refuge area where a large number of eagles roost. The eagles will fly directly over our heads when going to and from the dam. Many eagles will also fish in the little cove just in front of our shooting area. 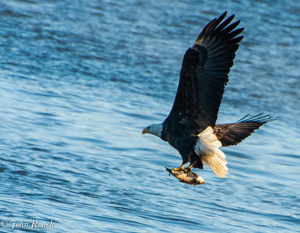 This is a unique opportunity to see and photograph eagles as they catch fish. Of course, the place has become quite popular over the last few years. There can be a couple hundred photographers there during the weekends. The weekdays are much less crowded but if the weather is good there will be some photographers around. We have a handful of Nikonians that shoot eagles here regularly most notably Dave Engeler (edf123), Scott Sternburg (Bumb57) and myself. We have had quite a few out of town Nikonians travel out to shoot the eagles. This year both John Roach (jdroach) and Gary Pool (gpool) happened to make plans to come to L&D 14 during the same week after seeing some shots that I had posted from the previous weekend. The weather forecast was good that week with frigid temps and sunshine predicted. The eagles are active in the super cold weather so Scott and I made plans to meet John and Gary at noon on Thursday. We all got together, bundled up to keep warm, and spent four hours shooting eagles and talking. It was a great day with plenty of eagle activity. 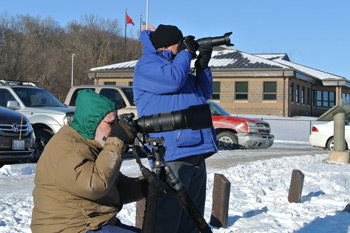 Some of the eagles were coming so close that John was even shooting with a D700 and a 70-200mm lens for a while. Below are links the posts about this get together in the wildlife forum. There is a group shot in the first link (just scroll down). The other links are images from shooting at L&D 14. Nikonians.org has decided to further enhance its membership policy making it possible for members to extend the free Basic membership term from the current limited one to an indefinite period of time. To keep the free Basic membership active, all a member needs to do is to stay active by posting in the forums, uploading images at the Galleries and adding friends to his or her profile. In other words, those members who cannot afford to be Silver, Gold or Platinum can remain members for free, indefinitely, in exchange for interactive activity. New members who can afford it are encouraged to upgrade to Silver or a higher level as soon as they are convinced of the value of the Nikonians community experience (forums, workshops, podcasts, eZine, pro shop, galleries, contests, membership rewards and more). 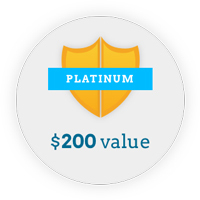 Silver, Gold and Platinum members will be further rewarded for their support. Nikonians is adding features which will be for free to them, for example, an app to download and read The Nikonian eZine and the Resources articles on an iPad and possibly other devices later, and a Premium Content Section with the most recent and interesting articles. It is planned to provide this new articles section to paying members before year-end. In addition to the above, Nikonians is preparing a Showcase Gallery with the best images posted in the forums in a given period and to provide a recognition insignia added to the Silver, Gold and Platinum membership postings, also available before the year ends. The Nikonians community is also facing the economic challenges by launching the Joy of Photography Program, bringing camera equipment to mid-school kids who cannot afford it, with the help of our membership. At the Basic membership level, a member can collect days for as long as wanted. There is no limit to the days earned using the activity reward system. Uploading of images to the Galleries, addition of friends to the profile, making an introduction at the New Members forum and other activities will also all add days, as will be communicated in the welcoming email. Silver, Gold and Platinum members do not need to collect days. Their financial contribution will be further rewarded with added features/services. If a paying membership is lost, because it is not renewed in due time, it is set to Basic with a valid period of an additional 25 days to give the member more time to renew, taking into account trips, holidays and the like. Once a Basic membership is lost because of deactivation, it must be reactivated to at least Silver or create a new free Basic account. They are precious metals indeed, and in the Nikonians community they represent the top tiers of supporting membership. 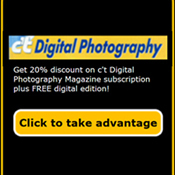 Now we have a special offer from c't Digital Photography. 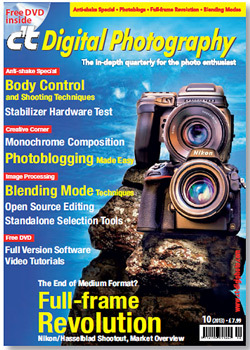 c't Digital Photography is the in-depth quarterly for the photo enthusiast, brought to you by the publishers of c't, Europe's biggest-selling IT magazine. Your upgrade to Gold or Platinum level will get you a full year of the quarterly publication free. To be eligible to take advantage of this offer all you need to do is sign up to the Nikonians Gold or Platinum membership first time or to be Silver member upgrading to Gold or Platinum the first time. If you are already a Gold or Platinum Member you can't take advantage of this offer, but Nikonians will have something similar great for you in the near future. This offer is valid starting from September 15, 2011 to February 15, 2012. Delivery of your four magazines is free of charge in the United Kingdom and North America, and is charged at cost in all other countries. 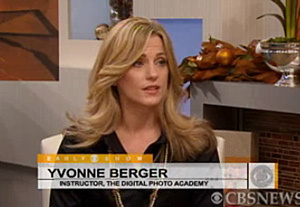 Yvonne Berger, best known in the community as part of the Berger Bros. Forum team, has been sharing photo advice online, in person and on TV. Yvonne is a professional photographer specializing in product, food, corporate and interiors. She has a vintage photo restoration business through Berger Brothers Camera for the past 10 years. She started teaching digital imaging and now has many workshops and seminars that she gives at Berger Brothers School of Photography and Digital and is head instructor of Photography at The Art League of Long Island. 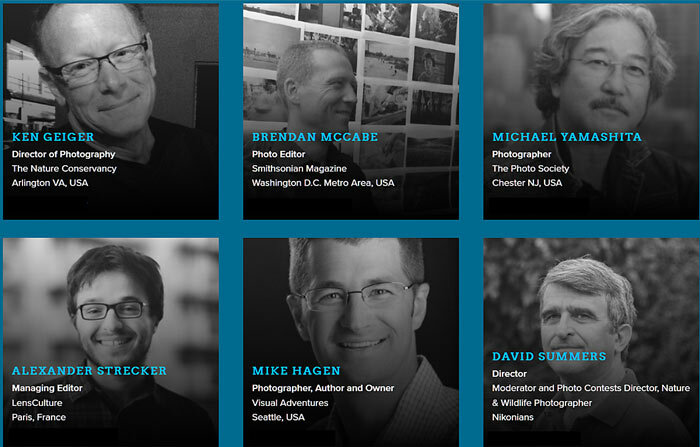 While you check out that Berger Bros. page you will also get a closer look at the Team that has been behind our Ask Berger Bros Camera Forum. 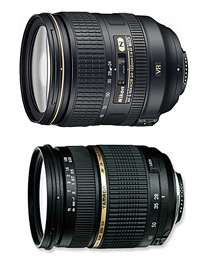 Contact Brad Berger or Lisa M weekdays at 800-542-8811 to get a special Nikonian deal. 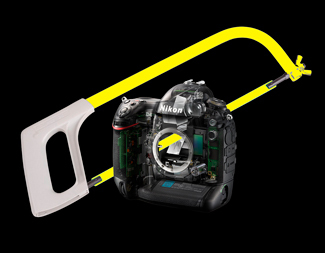 The Nikon D7000 – A New Category of Camera? 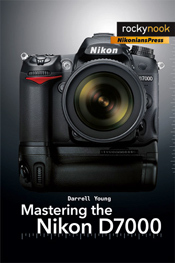 The newest book in the NikoniansPress/Rocky Nook series of "Mastering" books: Mastering the Nikon D7000, by Darrell Young is being printed and should be available next month. 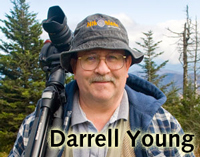 Darrell's latest book is his largest to date, and he tells us the main reason is the number of surprises he found when digging deep into the D7000 features. Nikon has upped the game significantly with the Nikon D7000. In fact, it’s basically in a category of its own and costs more accordingly. Why do I say that? 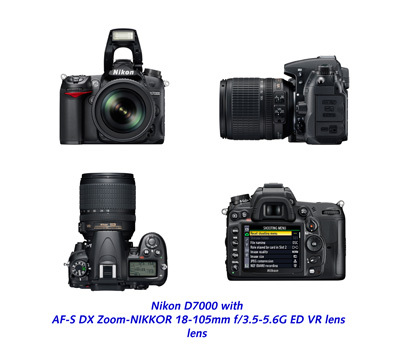 Well, compare the Nikon D90’s cost, at US$900 for a body only kit. It’s about the same as the new Nikon D5100, not the D7000. At US$300 higher the D7000 is significantly more expensive. Could the Nikon D5100 be the real replacement for the Nikon D90, and not the D7000? Compare the D90 and the D7000 and you’ll notice that the D7000 has features more like the semi-pro line (D300S, and D700). In fact, the D7000’s basic operating system is a near clone of the D300S’s functions. There are new items in the D7000 that actually improve on the D300S, and simply blow away the D90. It’s almost like the D7000 is in a new category of camera. Instead of just being considered an “advanced” or enthusiast camera—like the D90—the D7000 is fully capable of shooting commercial work in nearly every way. I’ve shot two weddings and a graduation ceremony with my D7000 and, let me assure you, this camera is faster and better than the D90 in nearly every way. It is much more robust physically with its mostly magnesium alloy frame, its autofocus system is even better than the D300S in some ways, the image quality is in a class of its own, for sure. In fact, I am seriously amazed by this camera. 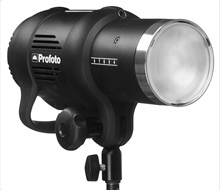 Its list of features reads more like a D300S or D700 than a D90. In my opinion the D7000 sets new standards for enthusiasts. It costs a little more, but places the user in almost the same class as the semi-pro line. 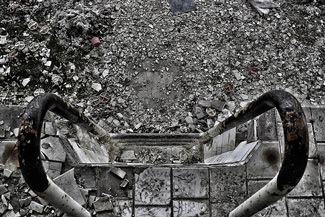 I wouldn’t be afraid to take this camera any place I shot with my D300S previously. In fact, I have! My D300S has gotten a lot less use since I got the D7000. It’s that good. If you are on the fence about which camera to buy today, don’t walk … run … to the nearest computer and order your D7000. You can depend on the camera to take more abuse than a D90, last longer than a D90, and provide better quality images than even a D300S—approaching the level of a D700. Nikon has given us a new class of camera. It’s better than an enthusiast-level camera like the D90, and nearly as robust as a semi-pro level camera like the D300S. As I’ve said in previous articles, the D7000 is a mature camera. It is made to last and last until N.A.S. gets you and you buy it’s replacement. However, you can wait as long as you’d like, it won’t be necessary to buy again for a long time. Buy new (or old) lenses instead! This camera can use almost any lens that Nikon makes (except non-AI). Are you an aspiring photographer seeking an opportunity to have your work reviewed by world-reknowned experts and a chance of winning the USD25,000 grand prize? Then look no further - the Photography Book Now 2011 Contest is now accepting submissions for their fourth annual juried competition. Photography Book Now (PBN) is a celebration of the most creative, most innovative, and finest photography books – and the people behind them. Last year Blurb received more than 2,300 submissions from over 40 countries, and this year they’re hoping for even more submissions from Blurbarians and other self-published bookmakers worldwide. This is the first time Blurb has opened up the PBN competition to non-professional student work, and the organizers are excited to reward and celebrate up-and-coming talent. The submission deadline is July 14 – so head on over to PBN and put your book in the running for some excellent prizes and international recognition. Best of luck! Update 1: Looks like it was an accidental publication - both the Japan and USA sites have pulled the page. With a lack of suprising fanfare, Nikon has announced a new 50mm f1.8 G AF-S lens, which replaces the hard-working AF 50mm f1.8D. Check out the latest special from our favorite discount lady over at the Nikonians Berger Bros. Camera forum! 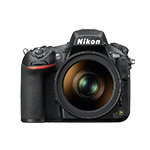 - Buy a Nikon D7000 body or kit. -Berger Bros. will ship your order via UPS ground for FREE within the continental U.S.
for ordering details-- go to Lisa's posted offer. For a limited time, Nikonians members at all levels are eligible for a 50% discount on PhaseONE's Capture One RAW Converter or 40% off on CaptureOne PRO! Discounts this deep are not available anywhere else but Nikonians.org, but you'll have to hurry - this offer is good only until October 17th, 2010. Redeem this discount and other valuable offers at the Nikonians Rewards Site now! All of this and more is available only to contributing Nikonians Members. Click here to claim your Rewards! 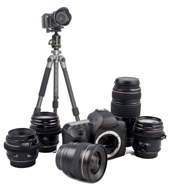 Berger Brothers is offering contributing Nikonians exclusive discounts on select Westcott and ProfFotolighting kits - perfect for members looking to upgrade or expand their studio and portable sets. Get your Discount Code and many other valuable savings at the Nikonians Rewards Page! Hendric Schneider, nikonians.org media & communications director said: "We are very proud having Tamron as a premium partner. Tamron is one of the big innovators in photography and our members will benefit in numerous ways from this long-term cooperation." Tamron's decision to join as a corporate partner brings the knowledge and experience of one of the leading manufacturers of high-quality lenses for DSLR cameras to the community at numerous levels, ranging from forum discussions to contest prizes and advance product previews. Future plans for sharing of information and ideas will be announced soon. In a potential double-whammy, many Nikon D5000 cameras are subject again to "additional and enhanced procedures," despite having just completed the first round of repairs as noted in the July advisory. Having just received their cameras back from the USA field repair depot in CT, several Nikonians members indicate Nikon has now sent them a second notification (including shipping boxes), urging them to send the unit in again for procedures that "further elevates the D5000's resistance to the power issue identified in the original Advisory." So it appears a stealthy Round Two is underway, but no public notification has been made, other than directly to the affected owners. Additionally, Nikon has updated the official advisory page, indicating there is now an expansion to the affected serial numbers (as of 12-August). We'll update this story as more details become available.